Please share our joy as we announce that Economics Arkansas won the Business of the Year Award, Nonprofit Category, during the 25th annual Arkansas Business of the Year Awards at the Statehouse Convention Center in Little Rock on Feb. 26. 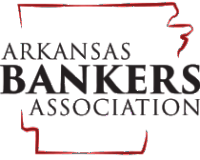 The awards are sponsored each year by Arkansas Business Publishing Group, which also honors for-profit businesses in three categories, business executives and nonprofit executives in Arkansas. Last night's event was presented by Centennial Bank. 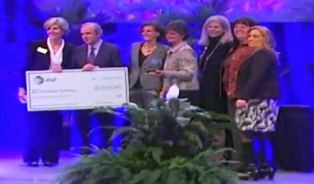 You can catch a webcast of our big moment, including the announcement, the presentation of a $2,500 check from ATT, a short speech by EA Executive Director Sue Owens and our huge smiles here. We gladly accept this honor on behalf of all the fantastic educators, supporters, board members, friends, volunteers and Arkansas students who have contributed to EA's efforts over the last 50 years. Thank you!